Our Vintage Reflection Series would not be complete if we didn’t have a great P90 pickup with vintage style DOG EAR casing. Available in Chrome, black and cream. 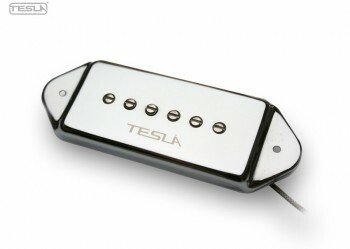 The bridge pickup features a higher output to enhance the clean and rich sounds. 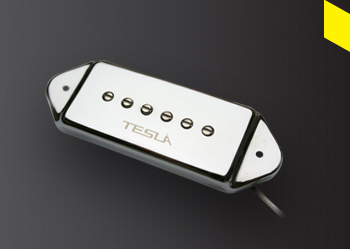 The VR-P90 Dog Ear pickup is carefully made with 42 AWG heavy Formvar copper wire and bar type Alnico 5 magnets plus 2-conductor braided shield wire. 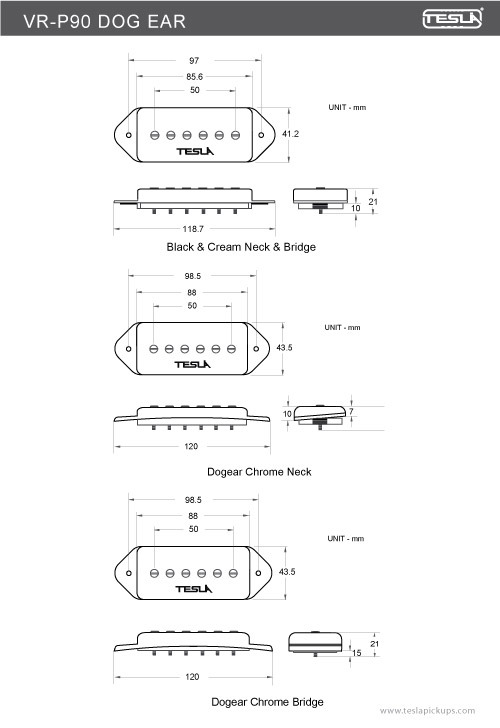 The coils are wax potted for stabilization to insure the complete, clean reproduction of sound.Equipped with 2 wire leads that give the player many tonal possibilities.